Established in 1995, Zhejiang Newpower Tools Co., Ltd. is a professional manufacturer. 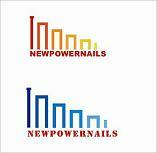 We develop the complete line of various nails and staples of one stop purchasing. Our products are compatible with Senco, Prebena, Fasco, Spotnails, Hitatch, Omer, Duo-Fast, Nikema, Atro, Bostitch, Holzer, Kihlberg, Paslode, Bea, Haubold, Temar Arrow, and MAX. They are highly regarded in the market for their superior performance and the most competitive price. Quality means meeting and exceeding our customers' high expectations. This is achieved by our care and commitment at all of our production and distribution stages.